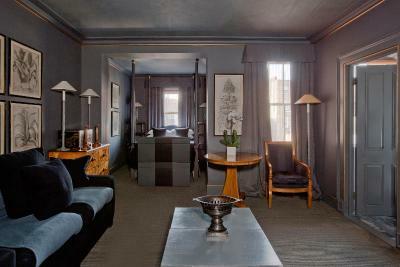 Lock in a great price for Blakes Hotel - rated 8.2 by recent guests. Staff were lovely, helped with my birthday surprise for my partner. Bathtub was amazing!! 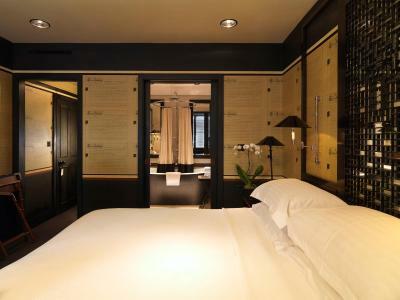 Can only describe it as the three D,s ... Dirty,Dark and Dated.They have tried to rest on their laurels as a designer hotel but never moved with the times and the quality of furnishings,lighting and bathroom especially were extremly poor. It was more like a 2 star boarding house and although the Kensington location of it portrayed an exclusive venue it was a shabby, cheap,dirty facade of what it should have been . 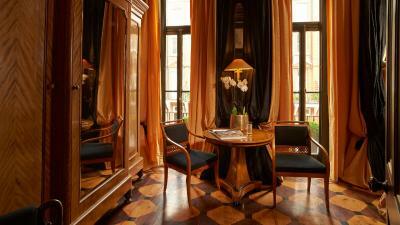 We booked the Director's Double room and found the room very spacious and luxurious. The bath was huge and the bed was super comfy! 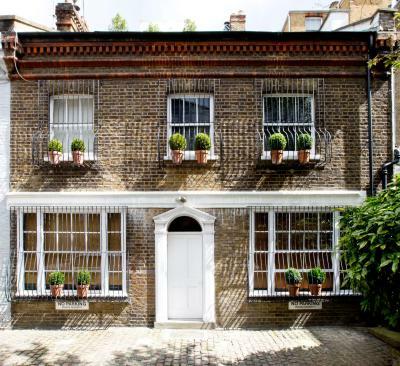 Only a short walk from The Kings Road and the river - Fab location! Loved the style of the hotel. Very chic and young. Very comfortable rooms. Fantastic decoration, privacy, location and the size of the hotel. The rooms, nicely decorated! The staff was excellent, the food at the restaurant delicious, the location perfect for us! The decor and style of the hotel is beautiful, as well as the food. The man working overnight at the front desk was great, very welcoming, helpful, and nice. 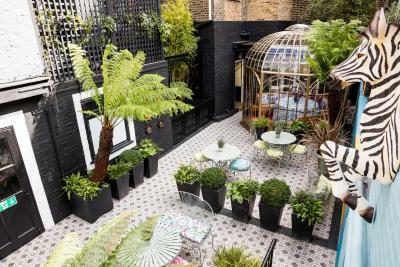 Ideally located in a quiet part of South Kensington, the 5-star Blakes Hotel is known to be the world's first luxury boutique hotel. 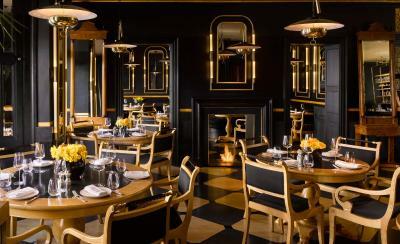 Boasting fine dining and sumptuous interior design by Anouska Hempel, it is just over 10 minutes' walk from central London's museum district. Elegantly styled with unique antiques and rich fabrics, the refined air-conditioned rooms also include a flat-screen TV and an iPod docking station. The beautifully styled bathrooms have complimentary toiletries and a hairdryer. 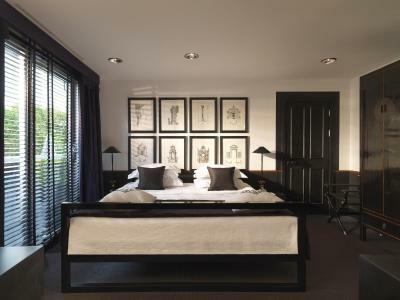 Many rooms feature a four-poster bed and original artwork. A 24-hour room service is available. Blakes’s sophisticated Asian-style restaurant serves creative, well presented cuisine. 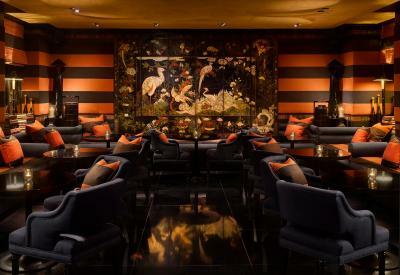 Next to the restaurant, the Chinese Room and Bar offers cocktails and fine wines in relaxed surroundings. 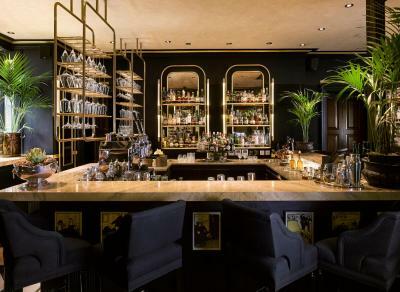 Set within an exclusive area of London, this unique hotel is only 10 minutes’ walk from stylish bars and the city's lively night life. Leafy Hyde Park and the historic Royal Albert Hall are both 1 miles from Blakes Hotel. Both South Kensington and Gloucester Road London Tube Station can be reached after a 10-minute walk. Blakes Hotel has been welcoming Booking.com guests since 1 Dec 2009. 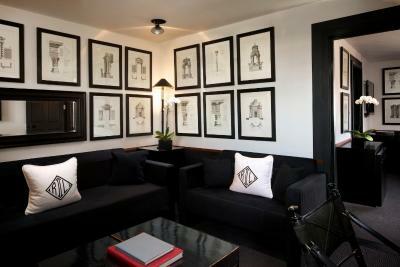 When would you like to stay at Blakes Hotel? 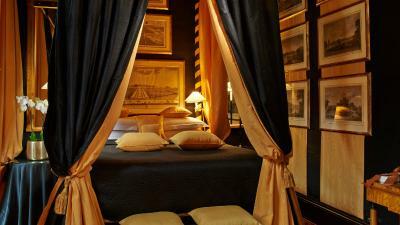 King-size bed and luxury antique furniture. Some rooms have a double balcony. 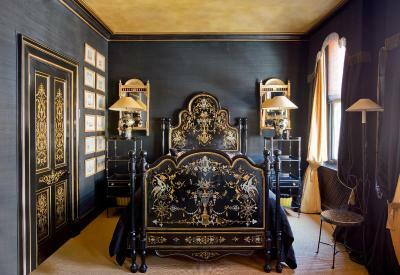 A massive antique king-size bed, decorated in stunning bold prints. 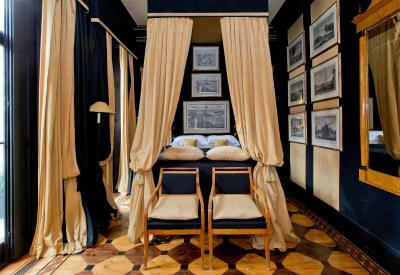 Tall ceilings, French windows, private balconies, king-size beds and unique, wonderful designs. This spacious suite has a king-size bed, free Wi-Fi and local calls, a TV with Sky channels, a seating area and an iPod docking station. 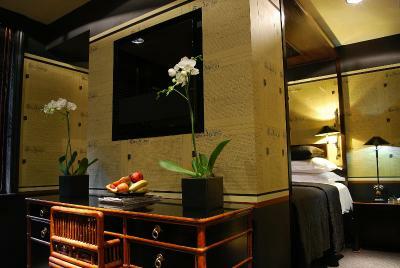 This single room features a iPod dock, satellite TV and minibar. Blakes was created in 1978 by the world renowned designer Anouska Hempel and is known to be the world's first luxury boutique hotel. With a top class concierge and room service running day and night, your every last wish is their command. With nonsense and happiness around the clock Blakes is a romantic whirlwind from the minute you step through the door. So full of fantasy and so full of fun you are guaranteed to have a great time! House rules Blakes Hotel takes special requests - add in the next step! Blakes Hotel accepts these cards and reserves the right to temporarily hold an amount prior to arrival. Please inform Blakes Hotel in advance of your expected arrival time. You can use the Special Requests box when booking, or contact the property directly with the contact details provided in your confirmation. I returned to the hotel where they had a private function and then the bar internally was closed. With no warning and the service was poor. despite being a small boutique hotel, most of the staff was not particularly eager to make an effort to recognise you or remember (even after a week) you or your preferences. this was not to give us a feeling of privacy but juts out of interest. At least this is how we perceived it. Should they upgrade the technology in the rooms...? Pillows were too soft for me and my partner but that can’t be helped, the TV wasn’t great to see with our big bed post at the bottom and it was very far away. Could hear next door rattling or banging in the morning woke us up. I think I have said it all above . Smart decor, beautiful room, super comfy bed. the walls of the room are very thin so we could hear EVERYTHING. We couldn't sleep at all the first night because there was constant music, walking around, slamming doors until 7am in the morning. My partner and I had to buy earplugs the very next day so we could sleep during the duration of our stay. During checkout, they asked if we took coconut water from the minibar. We didn't but that comment worried me that they would charge me anyway. 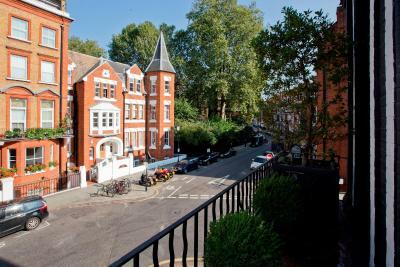 The hotel was also located at a quiet part of Kensington so there were no tube station or convenience store, everything was 10 minutes walk away. Not very ideal as it was winter and it was too cold to take a quick stroll.